Hi, I usually buy the Samsung SCX4521D3 toner/ drum cartridge but have found Samsung toner so expensive. Do you do a cheaper version? Dear Sir / Madam, I bought a Samsung SCX - 4521FG model printer from Canada. I'm not sure whether the D3/G toner cartridge is compatible with my printer. Can you help me with this? Unfortunately, we do not recognise the cartridge number you have provided. We only supply cartridges for UK printer models so it's unlikley that the cartridges we stock for the Samsung SCX-4521F printer will work for a printer purchased in Canada. I would recommend contacting Samsung directly with this enquiry. You can always rely on your SCX4521F to ensure that you’re always able to produce high level documents. The black Samsung SCX-4521F toner, however, may not always be available for a cheap and affordable price. You can compare Samsung SCX 4521F toner prices with leading SCX-4521F suppliers and discover that Samsung SCX4521F cartridge prices can be exorbitantly high. That’s why we at Cartridge Save are committed to finding deals on cheap Samsung SCX 4521F toner so you can save as much money as possible and keep on printing with your Samsung SCX-4521F. We have a wide range of Samsung SCX-4521F toner cartridge to choose from, so for any Samsung SCX 4521F toner needs, buy your Samsung SCX-4521F cartridges from Cartridge Save! We’re dedicated to getting you cheap prices for the Samsung SCX-4521F toner, and we offer great services as well to ensure you get best value for money. The Samsung SCX4521F cartridge is available with free delivery ensuring you receive your Samsung SCX-4521F toner with as little fuss as possible. We also send every SCX 4521F toner cartridge off with a money back guarantee making sure that you have full confidence that the genuine Samsung SCX-4521F toner you order from us will be top quality. The Samsung SCX 4521F is the right printer for a home office or for personal use. 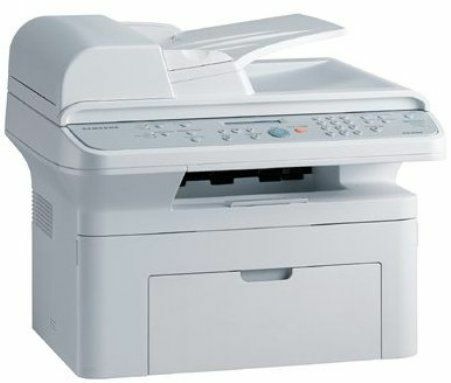 It is a multifunction device that has the ability to print, fax, scan, and copy documents. This machine is a laser monochrome printer that will easily print up to 20 pages per minute and has a duty cycle of 4,200 impressions per month. The fax machine on the Samsung SCX 4521F is G3 compatible and transmits at a speed of 33.6 Kbps. Scanning is done using a CIS element which has an optical resolution of 600 x 600 dpi. The copier on the Samsung SCX 4521F can copy up to 99 copies at a time and enlarge images by up to 400 percent. This printer is very handy and can be placed anywhere you have extra room. Its dimensions of 43.68 cm in width, 37.33 cm in depth, and 36.83 cm in height make it easy to find an area for it to be situated. This printer is also very portable and only weighs 10.38 kg. The output tray on the SCX 4521F has a capacity of 50 sheets while the input tray can hold up to 100 sheets. This printer is also easily connected to a computer or laptop using USB or a parallel connection. In addition, Samsung SCX 4521F toner is designed to yield up to 3,000 pages per replacement cartridge. This printer is built to support a variety of media which include plain paper, cards, labels, envelopes, and transparencies. It is also compatible with many operating systems including Linux, Windows XP, Windows ME, Windows 98, Windows 2000, Mac OS X, and Mandrake Linux. In addition, the Samsung SCX 4521F is certified for use with Microsoft Windows Vista. Another advantage is Samsung SCX 4521F toner comes at a very affordable price, especially here on Cartridge Save. This printer is also energy efficient and operates at an energy-efficient 350 watts. During sleep mode, this printer further reduces its power draw down to 10 watts. Replacing a used Samsung SCX-4521F toner cartridge is easy and requires no specialised tools or knowledge. This printer is rather noisy during operation at a sound emission level of 55 decibels. During idle, the Samsung SCX 4521F is still loud at 35 decibels. Another downside to this printer is the fax machine has some problems recognizing incoming faxes, which may be a problem for someone who requires a multifunction printer that is reliable.